1. The snowflake was drawn in the amount of time it took for my university’s Blackboard link to load. Come on guys, let’s get the system running better, yes? 2. I took the picture while waiting for the discussion boards to load. Really, people? 3. 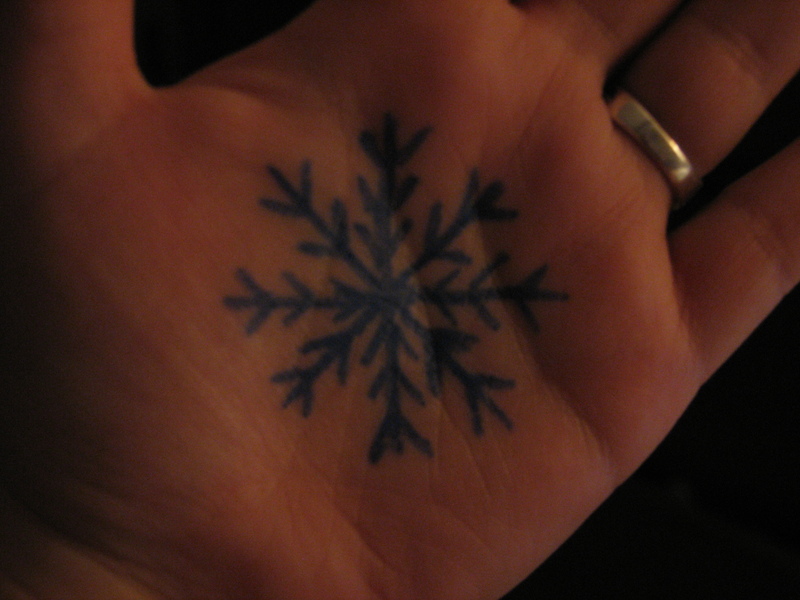 This shows off my mad snowflake drawing skills- also know as “Look! Miss Woodhouse didn’t mess up a design with straight lines!” It’s a big deal for me. Drawn with blue marker on a skin canvas. 4. It’s really hard to take a picture of your own hand. 5. This is as close as I will ever get to a tattoo- afraid of needles and all that. 6. We had snow all day yesterday, which is why I wanted to share this crazy picture with you today! At one point the sky was mostly blue with one dark cloud off to the side. However, that one cloud was snowing, and the wind was blowing it all around. For all practical purposes, it looked like it was snowing out of a clear blue sky. Very Hollywood. I tried to frame it, but the weirdness didn’t translate well to photograph form. 7. My brain is now rested, so on to finishing my paper! Have a great Friday. Okay, I love this shot for many, many reasons. 1. It was taken at a friend’s riverfront estate on a beautiful day. The lighting comes from the sunset reflecting off the river. 2. That shell had been in the same place for hours. When we first arrived it was mere centimeters above the waterline. I thought that it was pretty, but the dirty water detracted from it. This shot was much cleaner. 3. This shot was impromptu. For all the times I frame, focus, and polish a shot, this was literally a point and click. 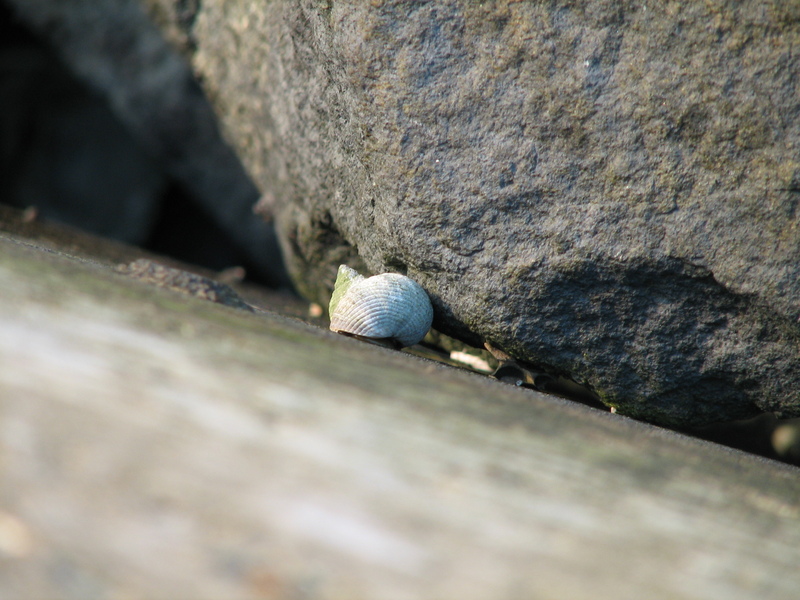 We were getting ready to leave, I glanced down, saw that the shell was still there, haphazardly snapped a photo for fun, and didn’t realize ’til later what a great shot it was. 4. The detail blows my mind (again, I can’t take full credit- it was a lucky shot). The ridges on the shell, the moss on the shell, the snail still in the shell (look closely! ), and the way that the sharp focus of the center blurs as the picture spreads outwards is amazing to me. So there you have it, my first Photo Friday! Thoughts, suggestions, tips, or tricks? Leave them in the comments! This is the first post in a series I’ve been working on for some time. We meet so many different types of customers, making each order a new adventure. However, many customer “types” share similar characteristics, so I thought that it would be fun to clue you all in about what I see as “typical” behaviours in certain customers. So, here we go with the first installment- check in Saturday for the next edition! This specimen is a Starbucks junkie in their own right. All it takes is for the boss to glance sideways at a coffee mug and this assistant is gathering crumpled $20 bills and credit cards from everyone in sight and half listening to orders. Since this is a paid break, the drone is in no hurry to return to the office. Good thing too, because half listening to orders makes for a confusing time at the register. They consult their hastily scribbled notes to discover that the “shorthand” they used to save time didn’t really help them at all. Was that “chocolate” Frappuccino the one with coffee or without? What size was that 5 shot cinnamon dolce latte supposed to be again? But never fear- this drone is not worried about making mistakes. Life is what it is; besides, they brought in their own special to-go tumbler with their order pre-written on the side. At least one drink will be right! This is my obligatory post on snow. Not that I’m a big fan of the cold wet stuff myself, but seeing as how we’re all having trouble remembering the last time our city was covered in white, a few words are in order. First- that whole “no two snowflakes are alike” thing is a myth. I swear I totally saw twins out there, but I couldn’t grab my camera in time. Second- snow makes people do stupid things. Case in point- I never wander around my neighbourhood. I just don’t. However, throw a few snowflakes in the mix and I’m tramping around like it’s the most natural thing in the world. Because of this, my friends and I had a snow ball fight in a complete stranger’s driveway. It rocked! Third- snow fall reveals what kind of people we work for. Chick-fil-a decided to close the night before the storm hit. Starbucks had employees in at 4:30 am as usual before letting them out around 3. The state schools decided to close down today, and sent out a text to let students know. My university finally decided to close down, but no text message- just a hard to find news article. By the way, this is the same university that woke us all up at 5am the first day of spring break last year to tell us that classes (that we weren’t having) were delayed two hours (which didn’t matter because we weren’t having class- spring break and all that). Oh yes, and not just one text, but texts and phone calls until we acknowledged receipt. More than one phone was hurled across a room that morning; but I digress. 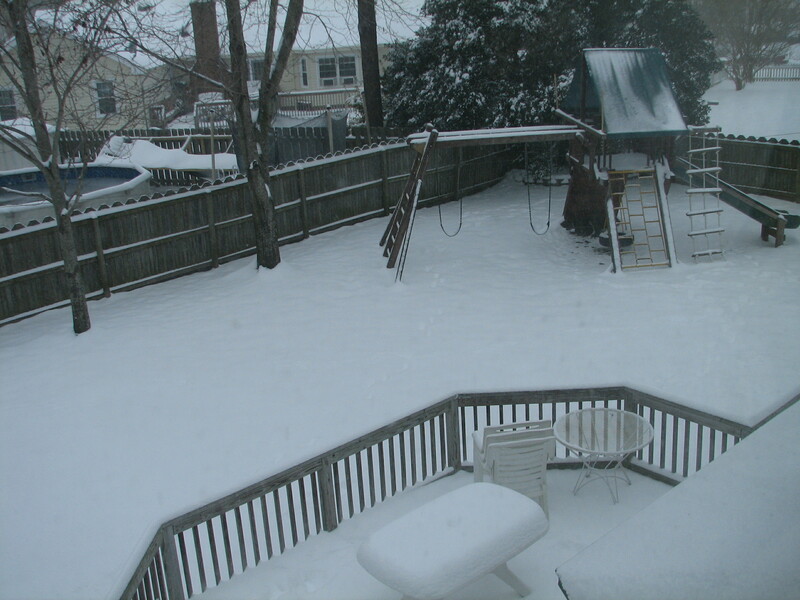 Fourth- snow days are uninspiring on weekends. Just thought I’d point that out. Fifth- impromptu snow parties are fun. Add fire, cookies, and coffee and you have a winning day! Sixthly, enjoy some of my pictures, because it really was a nice change from the norm. Well, we did have a lot of fun. 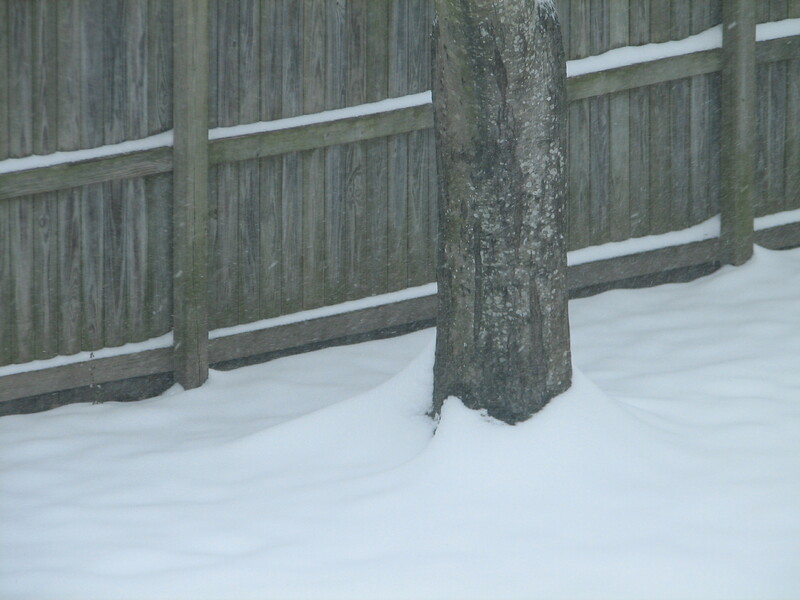 Enjoy whatever winter weather you have right now, and snow long until next time!